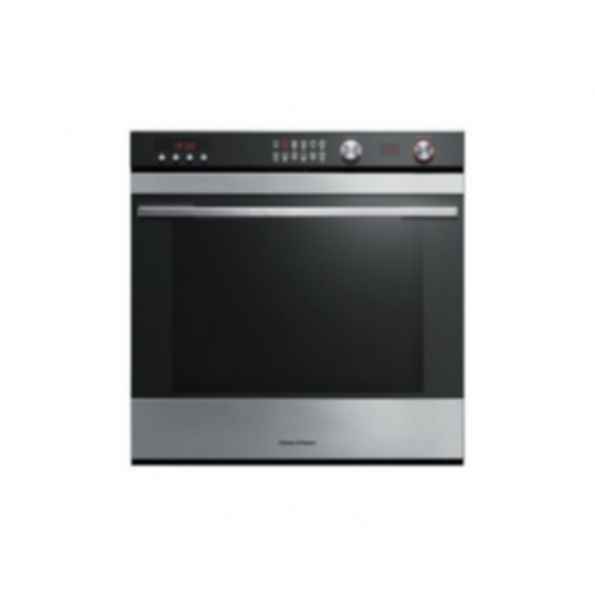 Designed to match Fisher & Paykel's Kitchen Companion Range of appliances, this oven is built for performance, with ActiveVent technology and an intuitive control system that allows for precise mode selection across 11 cooking functions. The generous 77 litre internal capacity fits 30 percent more than traditional European ovens and this model offers a pyrolytic self-cleaning function. Finished in black reflective glass with polished metal trim.